Batt insulation is important for keeping your home protected from outside temperatures – especially in the hot summers of Pensacola and elsewhere in Florida. At 31-W Insulation, we help homeowners throughout the southeastern United States keep their homes thoroughly insulated with premium products from trusted manufacturers like CertainTeed and Owens Corning® for long-lasting insulation performance. And, since our installers are all our own trusted employees rather than subcontractors, you can be sure that your new batt insulation will be installed by a team committed to upholding our high standards of courtesy, efficiency, and meticulousness. Having the batt insulation in your home replaced can help resolve these issues, making your home more energy efficient, and safer from mold and water damage. Also, because fiberglass insulation is naturally flame retardant, it can help protect your home from the risk of a major house fire. 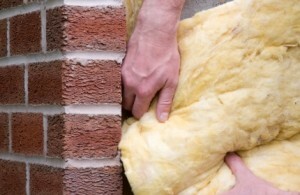 New insulation will even help absorb sound coming through your walls, so your home will be quieter and more peaceful. To learn more about the benefits of having us install batt insulation in your Pensacola, Florida, home, contact 31-W Insulation today.